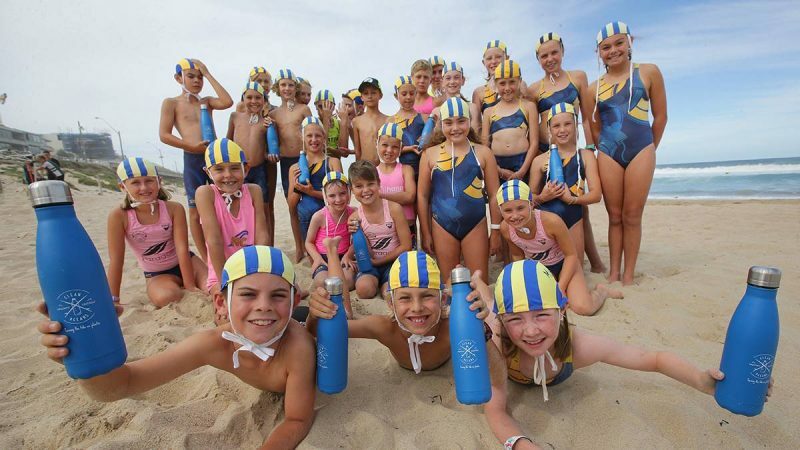 North Cronulla Nippers are helping launch a new campaign from Surf Life Saving NSW and Clean Oceans Australia this weekend to engage young beach goers in getting plastics off our beaches. Plastic waste and garbage in our oceans is a huge environmental challenge and engaging ocean lovers when they are young with education and resources to change their behaviour is at the heart of the campaign. “It’s estimated three million PET bottles and cans are being consumed every season at clubs around Australia,” Brett Pattinson, Clean Oceans spokesperson said. Mr Pattinson said some of these plastics will literally take hundreds of years to degrade in the ocean. The campaign will be piloted through the Nippers program across the Surf Life Saving Clubs in NSW – starting at North Cronulla ,Bondi, Coogee and Clovelly. “For Nippers our beaches and the ocean are our ‘home’ and we want to ensure they are both kept pristine for everybody to enjoy now and for the future,” Doug Hawkins, Sydney Branch President of Surf Life Saving Australia said. North Cronulla Nipper’s will be provided with a reusable drinking bottle, education materials to learn more about plastics and their effect on the environment, plus how to reduce plastic use. “We will be rolling out a new refill station in October to encourage kids and parents to use refills and move away from plastic bottles,” Rochelle Southwell a North Cronulla Nipper parent said. North Cronulla and the other three pilot clubs will receive recycling and waste bins, portable refilling water stations,reverse vending machines to further incentivise recycling and special clean-up activities. “There is a broader goal here that we are working towards, post our pilot, we hope to expand this program through more Surf Life Saving Clubs in NSW and around Australia, in the aim of working with the local community and Government to ban all plastics on beaches with a Surf Life Saving Club by 2020,” Mr Pattinson said. “Surf Life Saving Clubs are a huge part of Australian Beach culture and also a large network of people in Australia that deeply care about our oceans, and we’re hoping by engaging this community that there will be significant gains made to raise awareness of the need to reduce plastic use and also to all do our part of keeping our oceans clean,” he added.